April puts spring back in our steps. 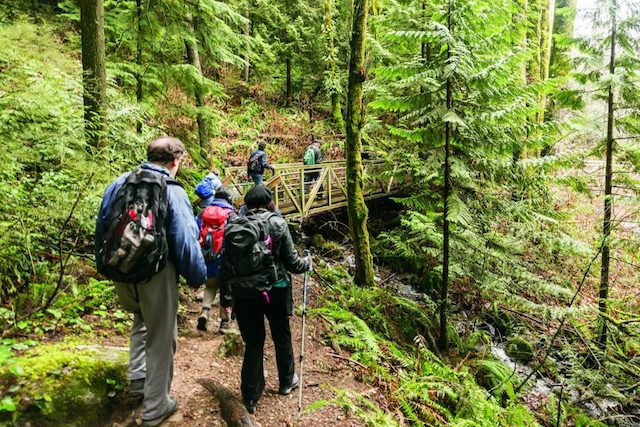 If you’re eager to get outdoors and explore some new terrain, check out these adventures in Coquitlam. Think hiking trails less travelled, adrenalin-inducing mountain biking trails and golf games with crazy views. So shed those winter layers, dust off the bicycles, lace up your runners and hiking boots, and get outside! We’ve got the lowdown on top things to do, where to pick up the season’s top sporting goods, and some suggestions of where to have a cold drink or bite to eat at the end of the day. Well, what are you waiting for? Let’s get out there. When it comes to mountain biking in Metro Vancouver, most people load up their bike racks for the North Shore. 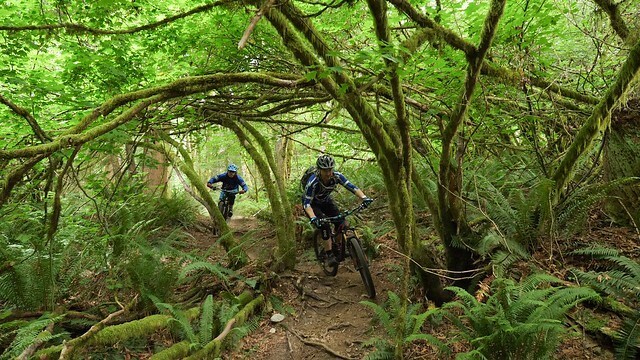 But did you know that Coquitlam has an up-and-coming mountain biking scene that’s attracting riders from all over? Picture steep descents and hard-hitting terrain, with a West Coast style of riding on both Eagle Mountain and Burke Mountain. You’ll navigate through mazes of towering trees, roots, rocks, single-track and built features. If you’re new to the area, you can join a group like the Tri-Cities Off-Road Cycling Organization (Torca) to scope out the trails. More of a city cruiser? Sit back in the saddle for some easy rides along the Coquitlam River Trail, the DeBoville Slough or Colony Farm Regional Park, to list a few suggestions. 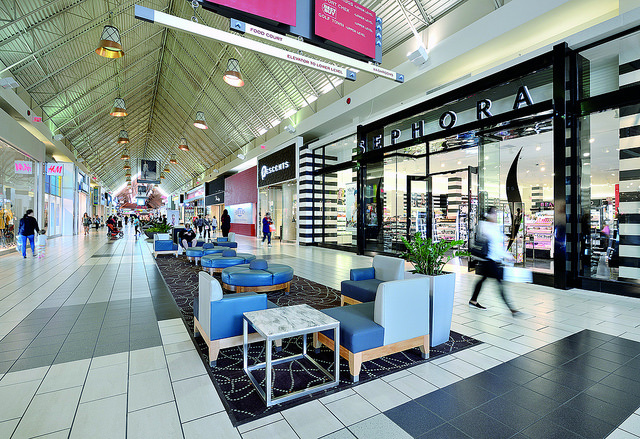 Find more tips on VisitCoquitlam.ca. Want to go wild? In Coquitlam, you’ll find forest-fringed hiking trails that lead you to waterfalls and stunning vistas. One to try, which is suitable for all skill levels, is Minnekhada Regional Park, which is just a short drive from City Centre and yet feels like you’re in the middle of untamed wilderness. Some other top local hiking areas for more experienced hikers include the Ridge Park Trails on Westwood Plateau and Pinecone Burke Provincial Park. If you’re new to hiking or don’t know the areas, one way to explore is by joining a hiking group. 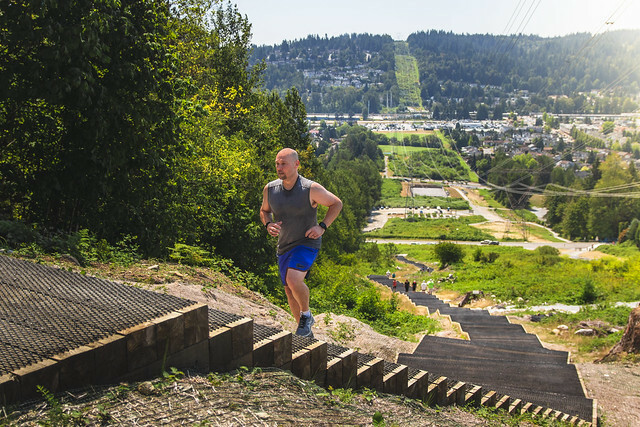 Hike the Coquitlam Crunch, a heart-pumping uphill trail with a net elevation of 242 metres. This steep climb begins with more than 400 stairs and gains 250 metres in 2.2 km – the equivalent to 81 storeys. Calling all runners! 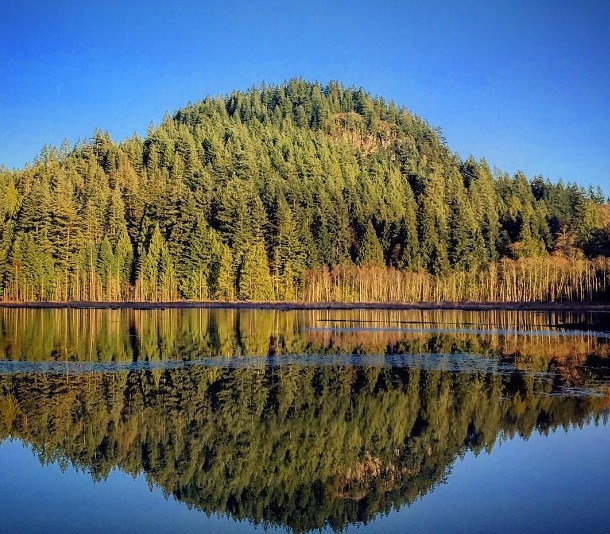 A local favourite is Mundy Park, a 400-acre coastal rainforest park dotted with two pretty lakes and 16 km of trails. You can run around the 5.5 km pathway encircling the park or explore the forest trails. Mundy is home to a local running club and hosts regional races. 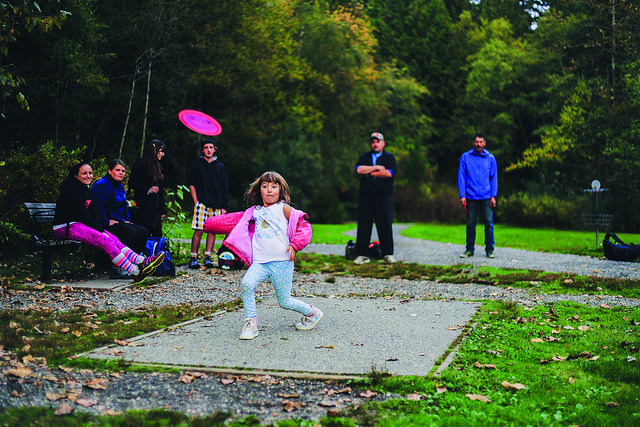 For more about this, and other popular running trails including Colony Farm and the Coquitlam River Trails, check out Coquitlam’s Travel Guide. Interested in reeling in a trout? Or teaching your kids how to fish? 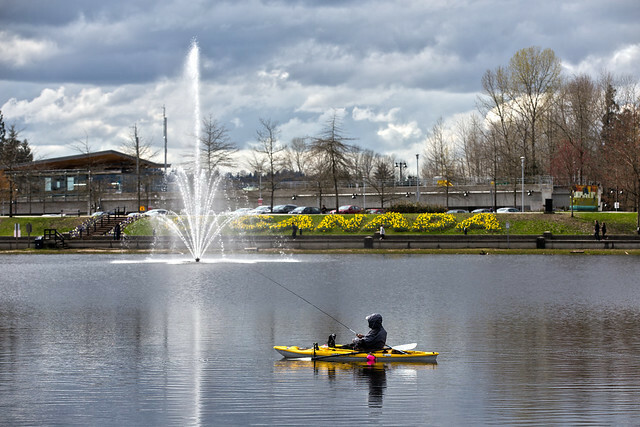 Coquitlam’s Lafarge and Como Lakes are regularly stocked with rainbow trout. Fishing has never been easier. Get the lowdown. Maybe you’re thinking it’s time you take up mountain biking. But what kind of bike do you need? Or perhaps you’re eager to take your child fishing but don’t have a rod? These shops can dish out expert advice. Kinetik Cycles: They call it your bike candy store – and it’s easy to see why. Drop in for some sound advice on which bike will suit your skills and needs and stock up on some pretty sweet gear. Sea-Run Fly & Tackle: Everything you’ve ever needed to get started in fishing. This place is your go-to shop for local fishing expertise and gear for all price ranges. Atmosphere: Stock up on outdoor clothing, boots, shoes, camping equipment and other goodies for your next adventure. North Face: A great spot for new rain jackets and spring weather clothing. Sport Chek: Peruse a wide assortment of sporting gear. Canadian Tire: Whether you’re in search of outdoor gear or fishing equipment, you’ll find a bit of everything at this Coquitlam location near Mackin Park. Climbing the Crunch? Check out Beanery Coffeehouse& Eatery to fuel your walk back down! Home to thin-crust pizzas, fresh gourmet sandwiches and specialty coffee. If you’re hiking or biking around City Centre or northeast Coquitlam, check out TiTi Homemade Food for some highly acclaimed Persian food. You can also stroll Glen Drive for a wide assortment of restaurants from nearly every corner of the globe. After a game of FootGolf or mini golf, check out C Market Coffee Roastery and Kitchen, an upscale coffee bar and dining area that uses fresh, local ingredients. Going for a run around Mundy Park or Colony Farm? 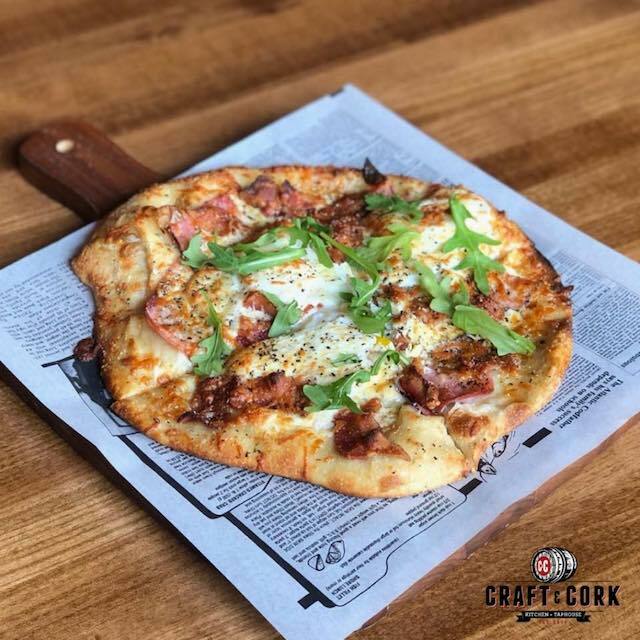 If you’re looking to replenish your fluids, one to try is Craft and Cork Kitchen, which has a tasting room boasting 41 taps and dozens of wines. Here are two upcoming events that will be drawing fans from near and far. Also check Coquitlam’s website for more upcoming tournaments. 2019 Artistic Gymnastics BC Championships presented by Outland Living, April 12-14 at Pinetree Community Centre. This event showcases our up-and-coming athletes in a fun and exciting event. Learn more! Pacific Spring Showcase, this multi-weekend hockey event features more than 1,400 players with teams from all over Western North America. Take part in the electric atmosphere at Planet Ice Coquitlam. Still looking for more things to do? Follow Visit Coquitlam on social media @visitcoquitlam or check us out online!